Global release plans for The Beatles: Live At The Hollywood Bowl, a new album that captures the joyous exuberance of the band’s three sold-out concerts at Los Angeles’ Hollywood Bowl in 1964 and 1965. 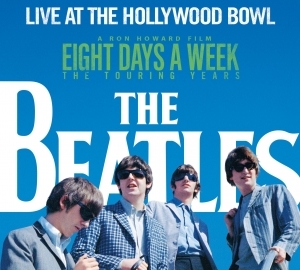 A companion to The Beatles: Eight Days A Week - The Touring Years, Academy Award®-winner Ron Howard’s authorized and highly anticipated documentary feature film about the band’s early career, The Beatles: Live At The Hollywood Bowl will be released worldwide on CD and for digital download and streaming on September 9, followed by a 180-gram gatefold vinyl LP on November 18. The album includes a 24-page booklet with an essay by noted music journalist David Fricke, and its cover art features a sunny photo taken on August 22, 1964 by The Beatles’ then-U.S. tour manager, Bob Bonis, as John, Paul, George and Ringo boarded a chartered flight from Seattle Tacoma Airport to Vancouver, BC for their first concert in Canada.